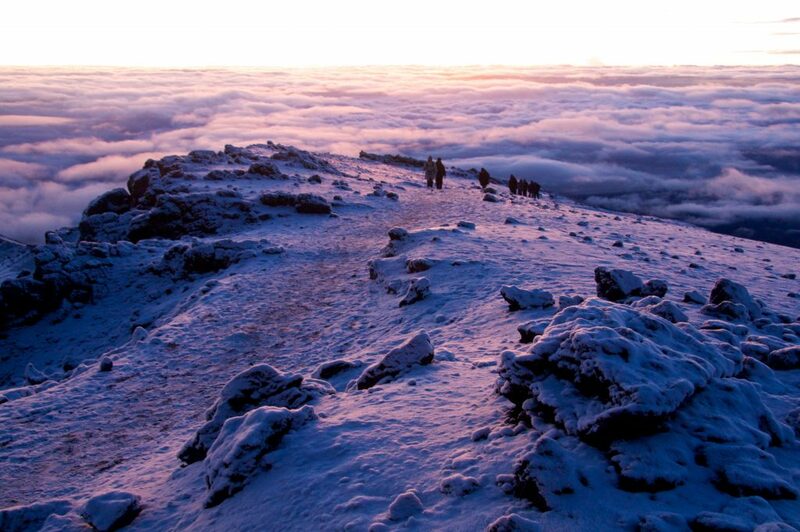 How do you climb Kilimanjaro? And why should you? Mount Kilimanjaro is the tallest freestanding mountain on the planet and the highest mountain in Africa. Covered with an everlasting snow-cap, this fabulous mountain is found within the Kilimanjaro National Park of Tanzania. It is an incredible adventure to climb Mount Kilimanjaro. People come from all across the world to find themselves on the top of mount of Africa. Climbing Kilimanjaro is an adventure that requires some serious planning, decisions and preparations. Being prepared to climb Kilimanjaro is important for a successful summit attempt. In order to get a best Kilimanjaro experience, you need to abreast about the necessary prerequisites and training to successfully climb Mount Kilimanjaro. Reaching the top of Mount Kilimanjaro has more to do with strong determination. There will certainly be a point during the summit attempt where you would feel giving up, typically somewhere close to Gilman’s point or Stella point. You would be exhausted and feeling extremely sick. At that serious point it is necessary that you stay determined to reach the top. At the same time, your determination should supersede your health. Keep monitoring AMS symptoms deeply. Your guide will also monitor you. It is significant that you listen to the condition of your body and others in the group if they suggest you to descend. 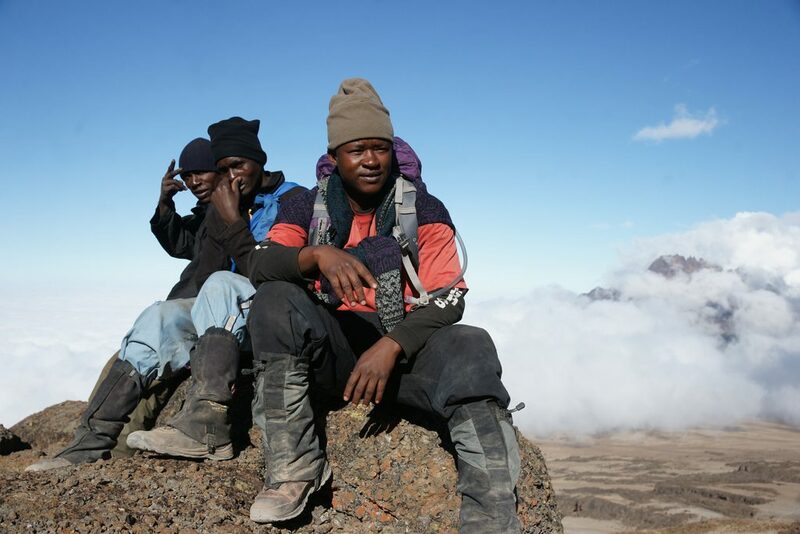 The porters and guides of Kilimanjaro are your best assets on the mountain. Majority of the caretakers and guides are local who can speak Swahili. Guides normally have a great command of English. Generally each climbing group contains a minimum on guide and every climber is accompanied by three porters. You will start respecting these people eventually on your climb. Every porter carries around twenty kilograms of kit on their back. Water is crucial on the mountain. On the first day you will be provided two to three liters by your guide. While climbing, guides will be collecting water for replenishing the supplies. You must aim drinking a minimum of three liters of water per day. Dehydration is the major cause of AMS so ensure that you stay hydrated. You can include an energy supplement to your water for making it more palatable. You should also include water purification tablets in your water. Eating proper on Kilimanjaro climbing is a key to success. You will require the energy on summit night. Food is prepared and carried by your guiding team. Usually, breakfast consists of coffee/tea, porridge, bread with spreads, eggs and sausage. Lunch normally includes bread, soup, sandwiches or cooked stew. Dinner is same as that of lunch. Consuming sufficient snacks is essential. Energy bars are of a best idea. You may consider eating three per day. One of the major symptoms of AMS is loss of appetite and nausea. If you find these symptoms you should immediately try to eat anything to make sure that you have enough energy reserves you can gain during the climb. Eating some biscuits also help. Never exert yourself. Guides and porters will alert you saying ‘pole’, which means slow in Swahili. Ensure you listen to them and go slow. Dehydration is the major cause of acute mountain sickness. The more the amount of fluids, the better you drink. The recommended intake per day is three liters of water. You can incorporate energy supplement to the water in order to make it taste good and also remember to use purification tablets. Sleeping low and climbing high enables your body to experience altitude for less time before down to sleep. It is advisable while on Kilimanjaro to have a day of acclimatization. Normally this occurs on third day where you climb high. You may consider taking Diamox, a medication helps in preventing the onset of AMS. Two rainy seasons are there on Kilimanjaro. One happens from November to February and March to the end of May. Southern slope is wetter than Northern slope, thus making Rongai route desired in case of climb during rainy months. Normally, rain is more prevalent more than three thousand meters, which refers you are only likely to find rain on first day. You are also likely to experience snow and hail on the upper parts of the mountain. 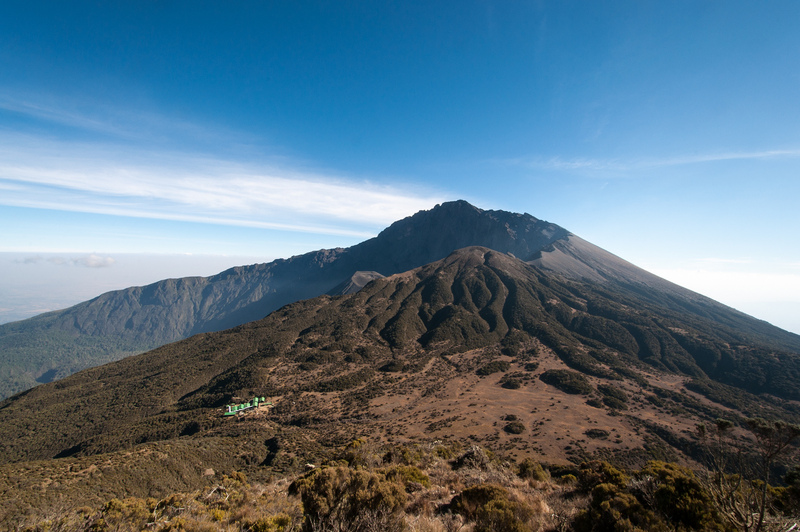 There are seven different routes through which one can able to climb Mount Kilimanjaro. The Marangu, Umbwe and Machame routes involves approaching the summit from south side, Rongai route sets off from North East which is a bit dryer than other routes and hence less scenic. As it is a bit out of the way, this route is not much crowded. Few people tend to start climbing from East using Shira and Lemosho route. Both are more beautiful and scenic. The new route is through the Northern circuit, which is considered as the longest route. Northern circuit offers huge opportunity to familiarize and thus success rates are more on this route. 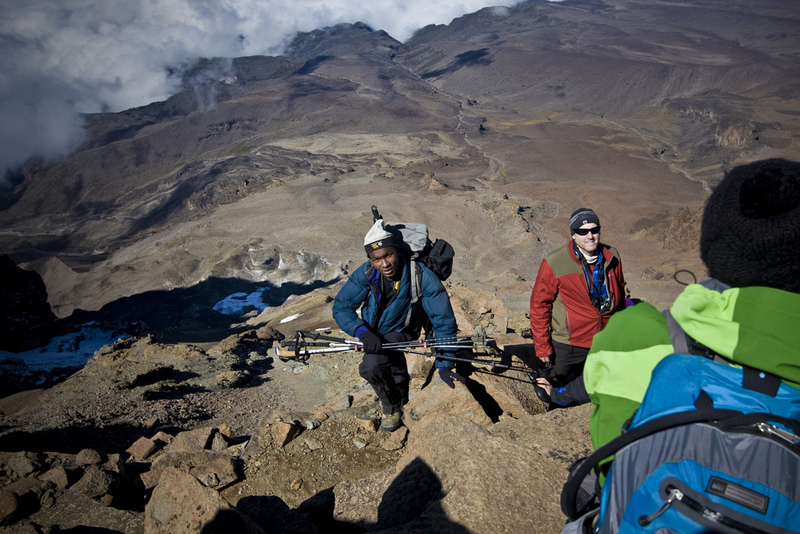 Hikers are usually the stressed the importance of carrying the right equipment while climbing Kilimanjaro. The hike takes place through four climatic zones and hence layering of clothes is critical to stay comfortable and warm as you mount. Outer jacket, mid fleece layer and a base thermal layer is a must. Hiking boots and right gloves are also important. Most hikers utilize trekking poles that are useful for balance and eliminate the pressure off your knees, particularly while you descend. To climb Kilimanjaro does not need specific climbing skills. Moreover, Kilimanjaro is merely a one big hike. On the routes of Umbwe, Shira, Lemosho and Machame, there is one portion known as the Barranco wall that necessitates very fundamental skills. Not any kind of preparation is needed for this part of the hike through. There is a common misunderstanding that you want to be super fit to be able to hike Mount Kilimanjaro. This is absolutely not true. The fact is even most fit people feel difficult to reach the summit as they exert themselves excessively during the early parts of the trek and hence do not give themselves sufficient time to adapt during the ascent. It is indeed important to have a good level of fitness and health if you want to climb Mount Kilimanjaro, however you don’t want to be a skilled marathon runner. On the mount of Kilimanjaro, you will be hiking approximately five to seven hours a day. Getting prepared for these treks by means of practice treks in your home country is a better way to develop your fitness level. If you do not have enough time to practice hike, then it is recommended to perform basic cardiovascular exercises in the gym, like cycling and running. 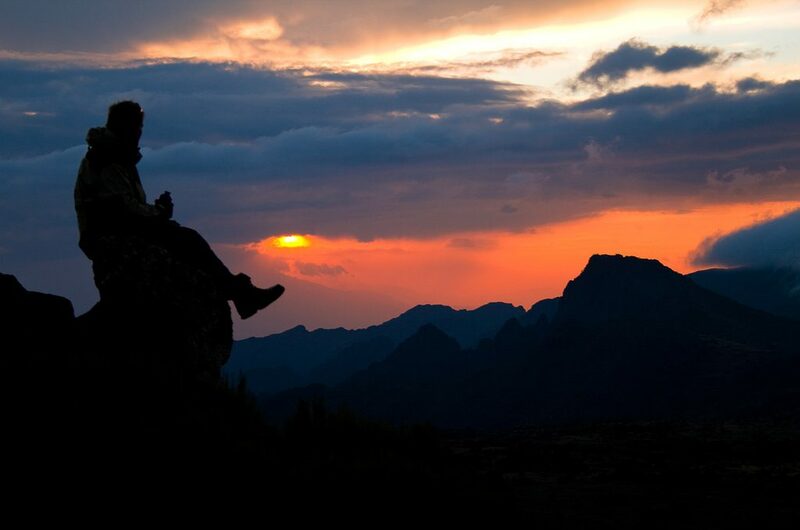 This post was written by Lyimo Expeditions Kilimanjaro. Lyimo Expeditions is the leading ethically, socially, ecologically based provider of Mt Kilimanjaro and Mt Meru treks and Serengeti Safaris in Tanzania. We are a locally owned and based company that values our staff and celebrates the environment. Our mission is to ensure our clients receive the best care & attention with safety paramount, combined with quality equipment, facilities, superb cuisine, medical services, the highest trained staff and we reinvest in the local community particularly through good wages, training and conditions for our staff. 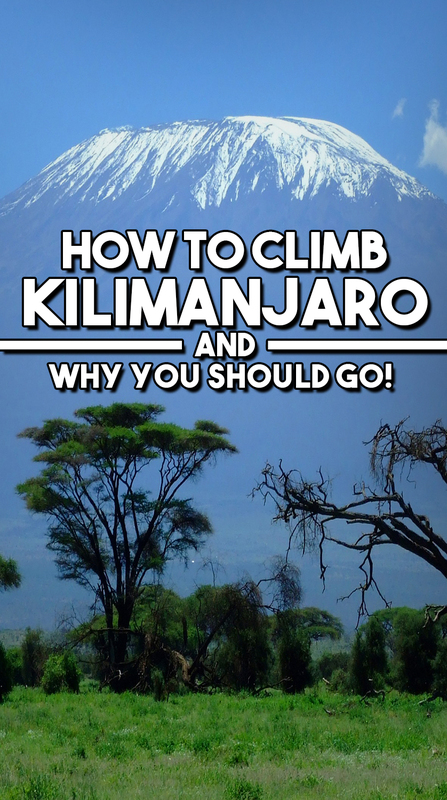 1 Comment on "How To Climb Kilimanjaro And Why It Should Be On Your List"
Great information, thank you! Someday I hope to climb this mountain!